When Wendy Wang ’06 came to Notre Dame, she was focused on pursuing a career in academia. But when her plans changed, her liberal arts training moved with her. The skills she developed in the College of Arts and Letters have served her well in the business world, including in her current role as vice president at BlackRock, the world’s largest asset management firm. Born in Beijing, Wang grew up in 1980s China—an era marked by both dramatic economic growth and social change. When her parents later immigrated to South Bend, Notre Dame loomed large. It was “something aspirational,” she said—a place she could be a part of some day, if she studied hard enough. Even more importantly, the Fighting Irish helped her assimilate into American life. As a Chinese speaker with no previous knowledge of English, football became the first teacher of her second language. 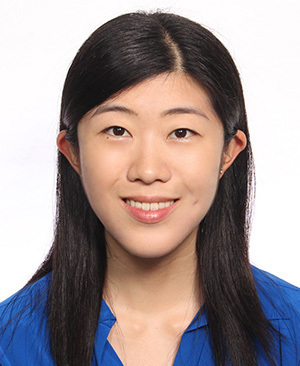 When she finally became a Notre Dame student, Wang studied political science, as it allowed her to learn about how the world works. In the process, Wang discovered the University’s Asian studies program, adding it as a minor. Her interest in the subject was also sparked by conversations with other Notre Dame students from Asia—especially her now-husband, Alex Liu ’04, a Hong Kong native. Given her time in China and the U.S., Wang said, she found herself with both a curiosity about—and personal stake in—Sino-American relations. “I was trying to understand my own history as an individual, as a Chinese person, as a Chinese American,” she said. Planning to become a college professor, Wang pursued research-based internships and worked at the Institute for Latino Studies while at Notre Dame. She spent the fall semester of her junior year in Washington, D.C., working as a research intern at the Woodrow Wilson Center for International Studies and taking night classes as part of a Notre Dame program. During the summer after her junior year, however, a trip to her native city for a municipal government internship changed everything. Fortunately, Wang said, her liberal arts background prepared her well to enter the job market. She found that investment banks, financial companies, and consulting firms were looking to hire people with the skills forged by her Arts and Letters curriculum. She began working in consulting, first at professional services firm Deloitte. She transferred to Hong Kong in 2008, assisting in the acquisition of Lehman Brothers by Japan-based Nomura Holdings as her project. She later moved to Bank of America Merrill Lynch, where she rose to a vice president position. Through her consulting work, Wang said, she saw that many corporate problems were people-related, so she adjusted her focus to human resources issues. She now specializes in talent management for BlackRock. Major companies have a large societal impact, she said, and it all starts with the quality of leadership and behavior within the organization. Since the economic recession, she said, corporations are more inclined to seek out people who have strong moral compasses. “The financial crisis in ’08 created momentum for higher standards for ethics—pressure to demonstrate a lot of the values that Notre Dame teaches you about being a force for good in society,” she said. For Wang, who now lives with her husband in Hong Kong, her time at Notre Dame continues to shape her life. A “small but very active” alumni club gathers in Hong Kong to watch every football game, passing a collection basket that benefits local charities. Her liberal arts education, meanwhile, continues to pay dividends in her business career. It has shaped her into an independent thinker, she said, with the capacity to understand and juggle differing ideas. Now, Wang encourages students to pursue an Arts and Letters degree. No matter what they end up doing, she said, their coursework will be time well spent. Originally published by Libby Feil at al.nd.edu on June 02, 2015.